Many business owners and professionals operate through corporations. One of the main benefits of using a corporation is the deferral of income tax (over 34% in some provinces) and as a result, many business owners attempt to leave as much money in their corporation as possible (in essence to build their own mini corporate retirement fund). When Tax-Free Savings Plans (“TFSAs”) were introduced in 2009, most small business owners typically had a choice of two pots of money to fund their annual $5,000 contribution limit. They could fund their TFSA with non-registered money (savings accounts or brokerage accounts) or withdraw funds from their corporations. Initially, most chose to fund their TFSAs with non-registered money, since this money had already been taxed. However, as time marched on, many people exhausted their non-registered money in funding their TFSAs or used these funds for their personal use, such as to renovate their homes, vacations etc. 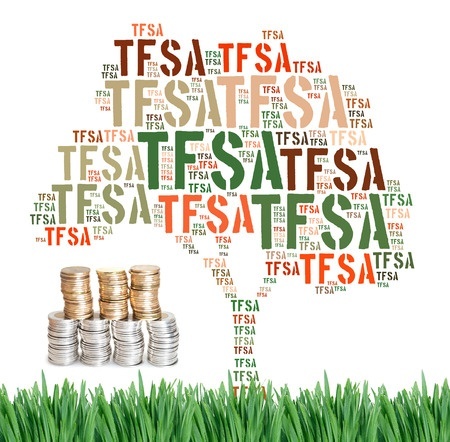 Funding an owner/manager’s TFSA has become even more problematic with the proposed TFSA increase from $5,500 to $10,000 announced in the March, 2015 budget. Some of my clients who do not have any available non-registered money to fund their TFSAs have automatically assumed they should fund their future contributions with corporate funds, as opposed to leaving the funds in their corporations and not funding their TFSAs. 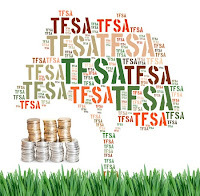 Their thinking is premised on the belief that their TFSAs will provide for tax-free withdrawals in the future, while the money remaining in their corporation will ultimately be taxable when the funds are withdrawn as dividends. As I have also been contemplating the question of whether you are better off funding a TFSA with corporate funds (via a dividend), or not funding a TFSA at all and growing a corporate "retirement account", I decided to run some numbers to see what they reflected. Based on some simple calculations (provided below), the answer is not necessarily clear cut, although in general, it appears you will in most cases want to fund your TFSA with corporate funds. I provide some general guidelines below. For the mathematicians out there, please do not have any heart palpitations. I concede a vigorous analysis would include various permutations, combinations and Monte Carlo simulations, but I have neither the tools, nor the time to undertake such an analysis. In undertaking my calculations I made some large assumptions. 1. The individual taxpayer is at the highest marginal rate (in Ontario). 2. The initial active income earned in the corporation was taxed at the lowest corporate rate of 15.5% (in Ontario). 3. I assumed a 30 year investment horizon and I used a flat 5% rate of return on the money, whether the income earned was interest, capital gains or dividends (of course in real life, typically the return on capital gains would be far in excess of that of interest and dividends), but you need to have a standard comparison point. 4. For purposes of this exercise, I assumed all dividends received are eligible dividends from Canadian public companies. 1. If you are earning interest in your corporation, you are clearly better off removing those funds via a dividend and investing the after-tax proceeds in your TFSA. 2. If all you are earning is capital gains, you are probably better off leaving those funds in your corporation, rather than removing the money via a dividend and funding your TFSA. 3. If you are earning eligible dividends in your corporation, you are better off removing the funds from your company. However, the timing and your marginal tax rate at the time could change that decision. 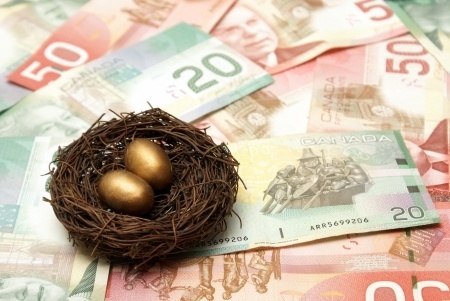 Since most portfolios earn a blend of interest, capital gains and dividends, depending upon the actual mix (this is why you would need to run your own numbers), you will likely want to use corporate funds to invest in your TFSA. I should note that I did play around a little with income tax brackets. I compared the $44,701- $72,064 and $89,401-$138,586 income tax brackets to the highest marginal rate bracket. I determined that at the lower brackets, there is a slightly larger bias to funding your TFSA with after-tax corporate funds for all types of income, but the differences were not compelling. As noted above, a rugged analysis would require multiple simulations which I don't have the tools to undertake. This analysis would take into account the different corporate tax rates, rates of return, income levels, future and current tax rates, income smoothing, portfolio allocation and investing style (some people only invest in higher risk equities that will produce capital gains in their TFSA - i.e. the greatest upside with no tax). I would like to think this post was not an exercise in mathematical futility. Instead, I hope it gives you reason for pause in automatically assuming you should fund your TFSA with corporate funds, as opposed to leaving those funds in your corporation to grow over time. In order to ensure you make the correct decision, you need to review this issue with your accountant taking into account your specific income tax and investing circumstances. Note: I apologize for the formatting on the dividend chart. I made a change and now cannot get it back to its original format.